ItemCUMB_980.488 - Abacus From Lai Yeun store in Chinatown, Cumberland B.C. Item CUMB_980.488 - Abacus From Lai Yeun store in Chinatown, Cumberland B.C. 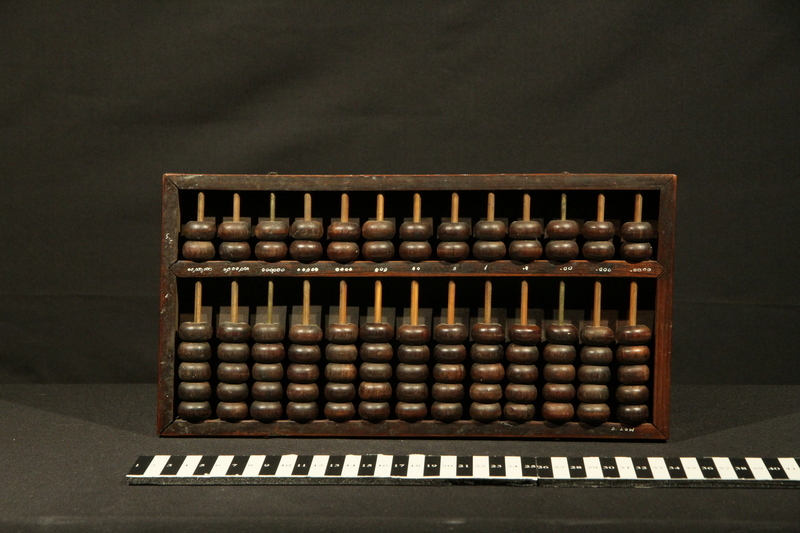 17 x 33.5 x 3 cm; 1 abacus; wood; dark brown.